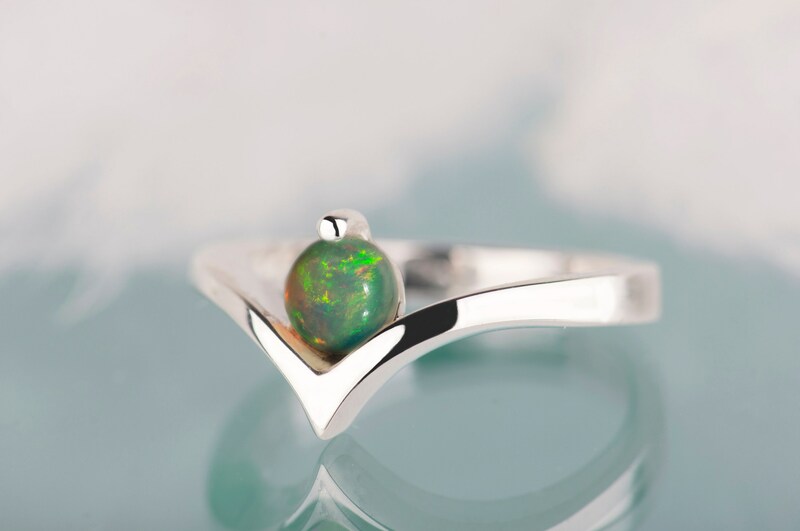 Opal is a beautiful natural stone – every example is unrepeatable and unique. 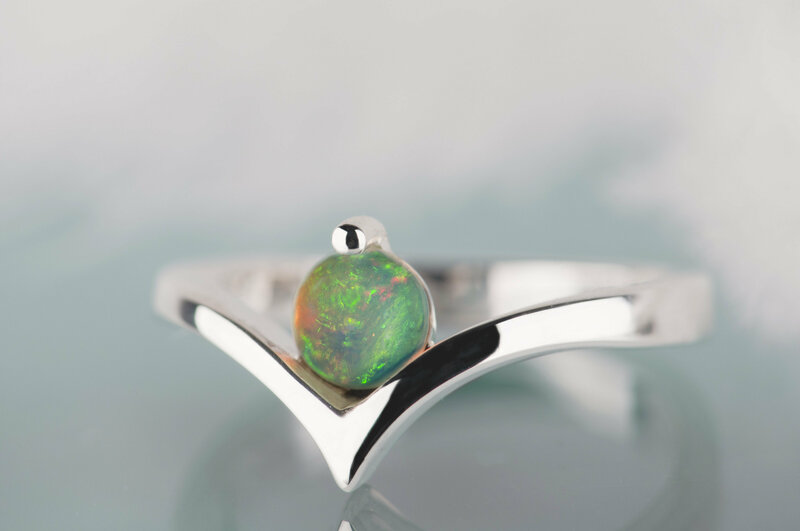 Opal is also one of the most colorful natural stones. 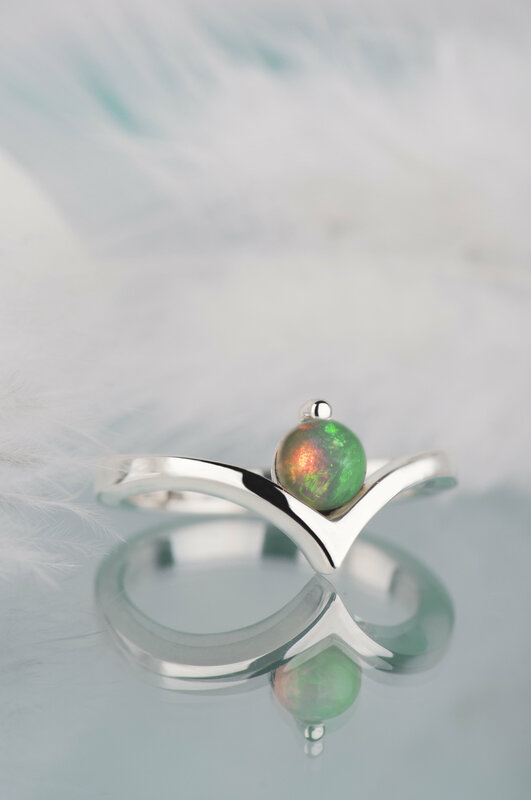 It shimmers like a rainbow in many colors even if it’s just a tiny piece. 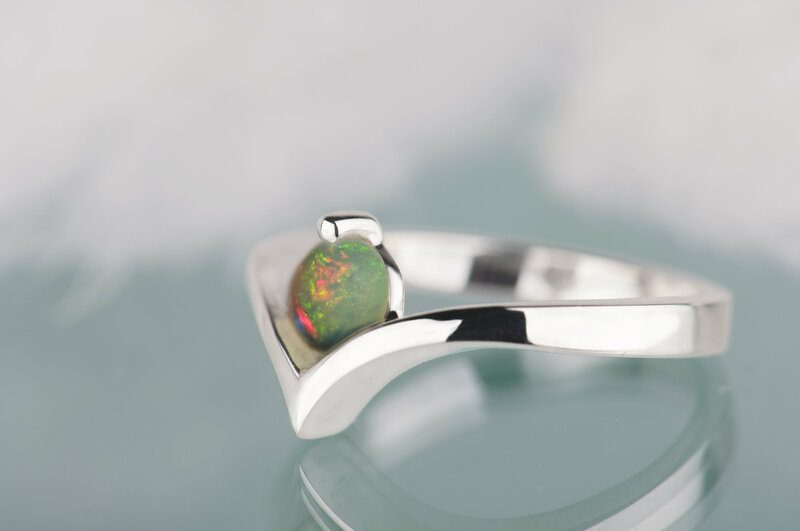 Because of that opal is eagerly chosen by customers and jewelry makers as well. And it is not a surprise for me – here on Etsy we all love unique and charming things, don’t we? 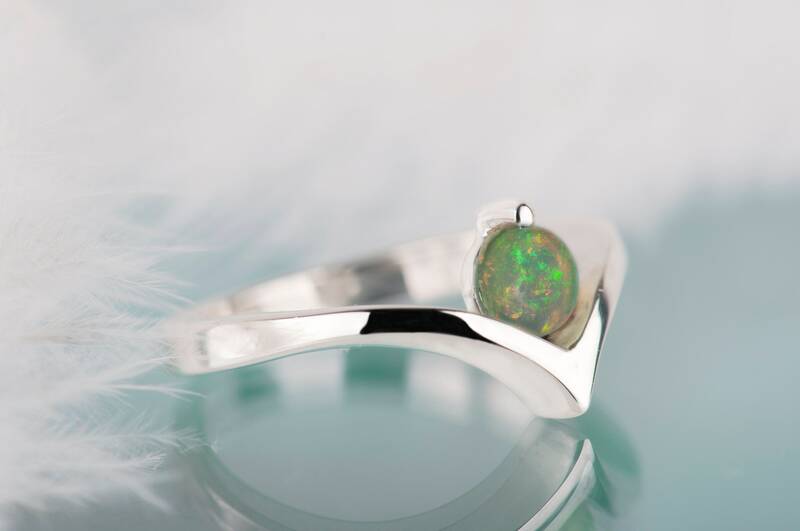 :) The Ethiopian opal ring I offer can be an alternative engagement ring, a minimalist promise ring or a birthday gift for a person born in October. 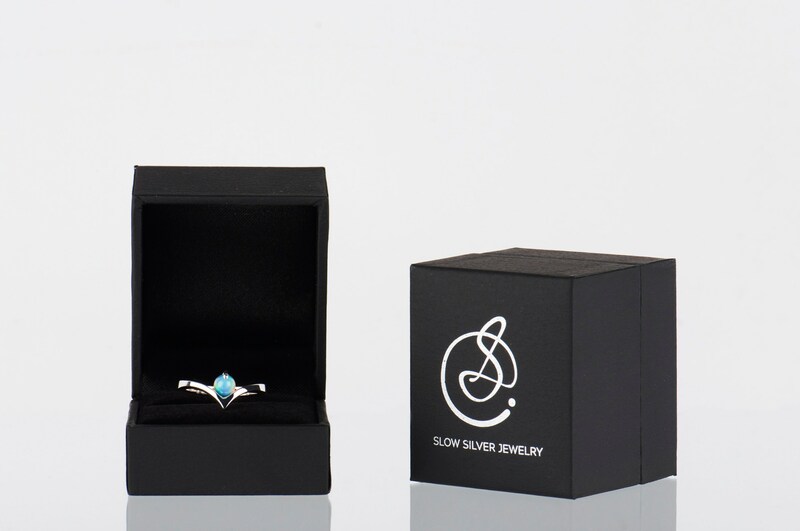 It has really simple, geometric shape which makes this ring truly elegant piece of jewelry. For me most of natural stones are so wonderful that they don’t need decorative setting. 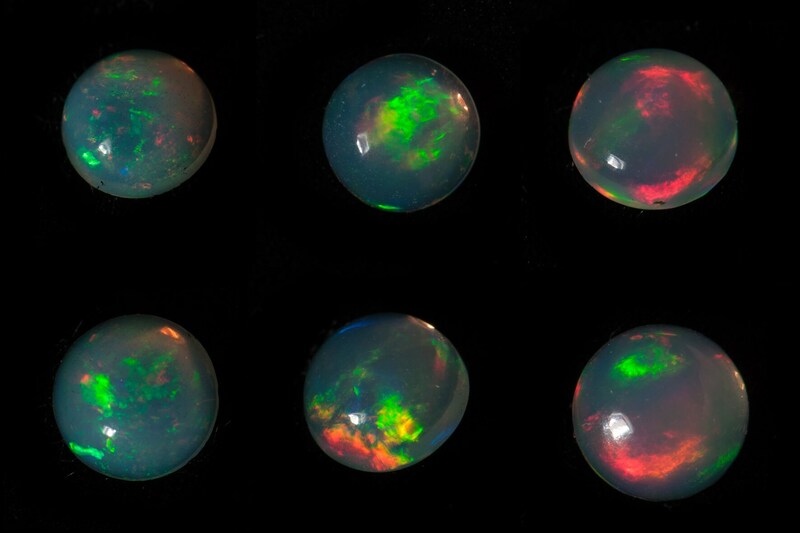 Ethiopian opal is definitely one of them. 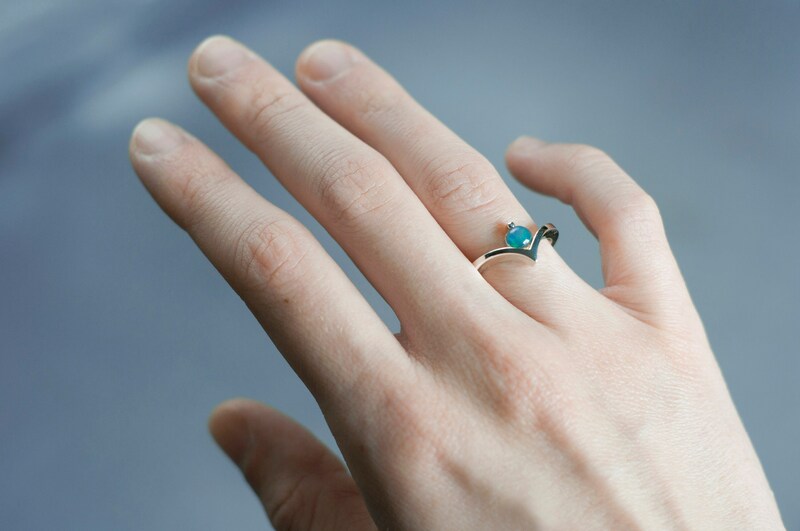 Excellent quality ring, beautiful stone. 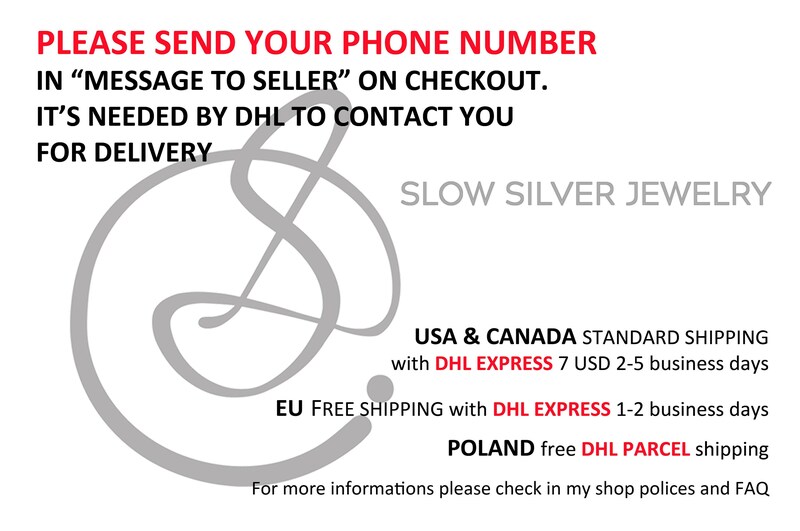 Fast delivery, attractive packaging. The site could be more clear that you need to contact the seller and tell him the engraving, and that the engraving is limited to 10 characters including spaces.